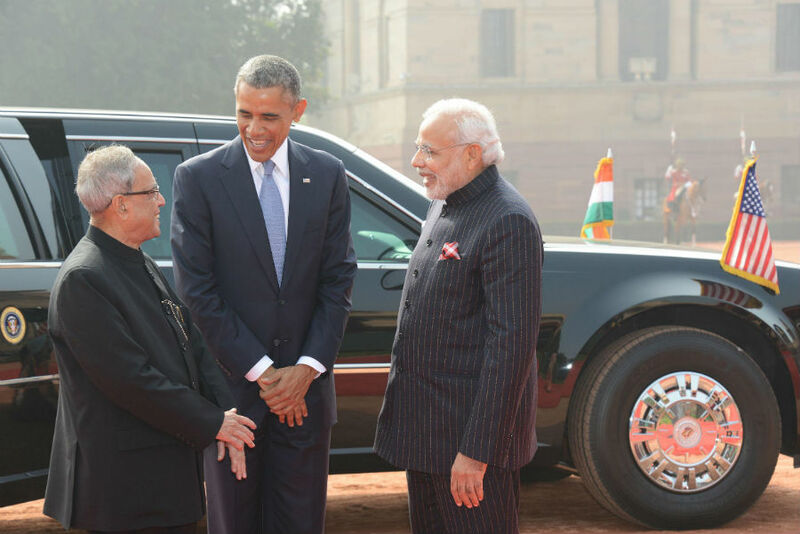 Going well beyond the conventional armoured limousine – US President Barack Obama’s personal high-secured bomb-proof vehicle ‘The Beast’ was unleashed on the roads of New Delhi today, as the world’s most powerful leader arrived on his two-day visit to India. 1. The Beast has five-inch thick bullet proof windows, eight-inch thick body plating and weighs close to 8 tonnes. 2. This armoured limo is resistant to all sorts of threats, including chemical attacks. 3. The car runs on puncture resistant Kevlar-coated tyres with steel rims underneath, ensuring the car does not come to a halt in case the tyres are damaged. 4. 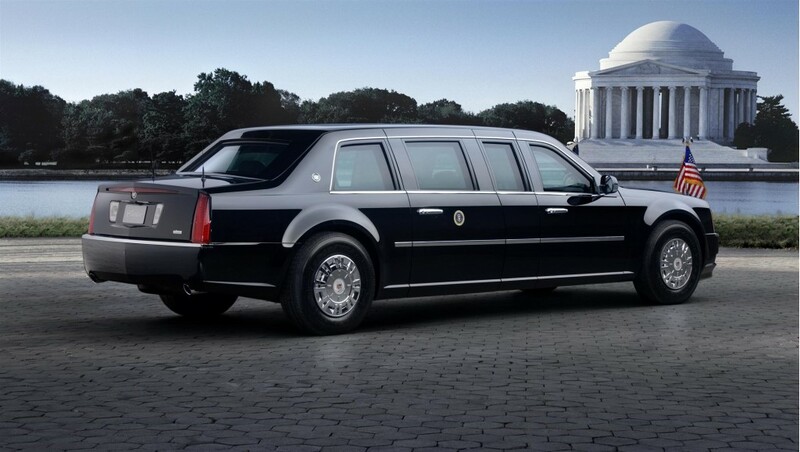 A seven-seater, the door of this vehicle weighs as much as doors of the Boeing 757 airplane. 5. A special foam covers the fuel tank, which protects the car from any possibility of an explosion. 6. Apart from the teargas cannons, night-vision cameras and a shotgun, the Beast has a special compartments that is dedicated to hold pouches of President of the United States’ blood type. 7. The vehicle runs with a Washington DC plate that carries the message ‘Taxation Without Representation’. Meanwhile, the Beast also hogged the social media limelight. Here are few Twitter reactions. The way they show tiger pug marks in jungles for people trying to sight a tiger, mayb they should show tyre marks of Obama's "Beast". This one time Obama's Beast had gone missing. Indian news channels broke the news with "Has the Beast gone out to feast?"